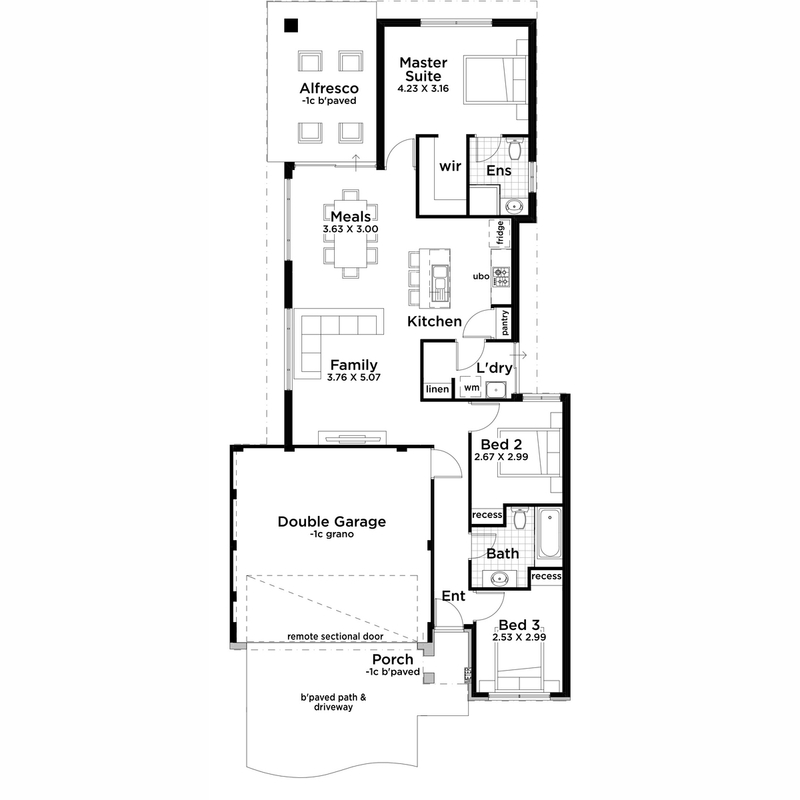 This style home is specifically designed with first home buyers in mind. This home features three bedrooms and two bathrooms with an open plan meals and living area to maximise space and comfort. The stylish kitchen includes a breakfast bar, ample bench space and plenty of space for a growing family. Features of this home include a separate laundry with outdoor access as well as a separate wing of the home dedicated to 2 minor bedrooms and bathroom.